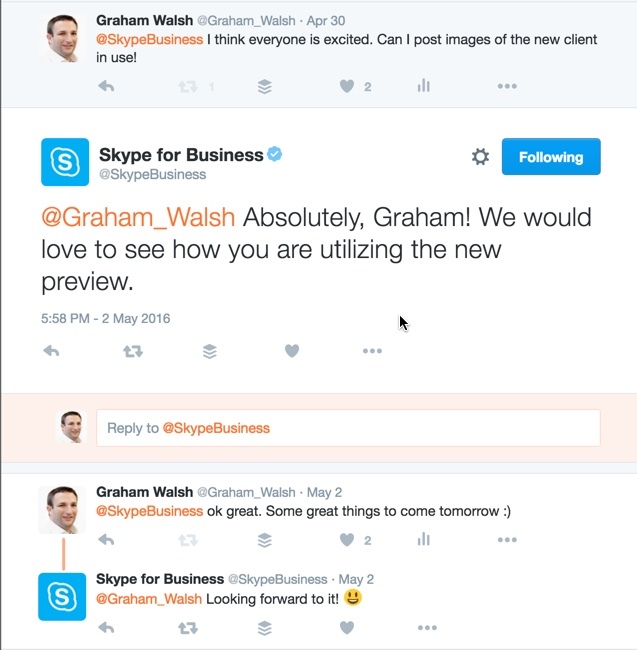 So I am on the Skype for Business Mac Preview programme and checked with the Skype for Business team if I can post about the preview programme and the answer was yes. Brilliant, great news that Microsoft are allowing everyone to preview this long awaited software and that they are encouraging people to share their experiences. I first teased a few photos of the Skype for Business Mac client joining an online meeting (which is what preview 1 can do). So you send the user a meeting invite and you can click to join the meeting. 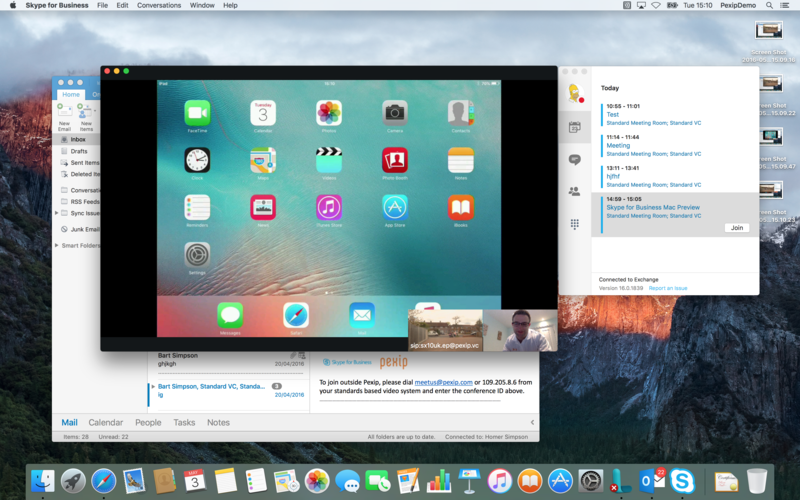 You can also do a Meet Now (this is hidden up in the menu bar) and not in the main window like the Windows version. And quite nicely you are in the call. The main video is active speaker switching, so you will not see the gallery view like you do on the Windows client. Also in the first preview release is the ability to send and receive content. 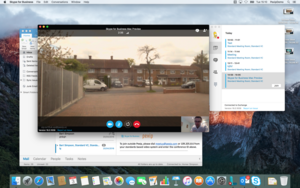 As you will see below, I am receiving the H.239 content channel from the standards based room system into the Skype for Business Mac client. This is due to the Pexip Infinity integration that Pexip offer. 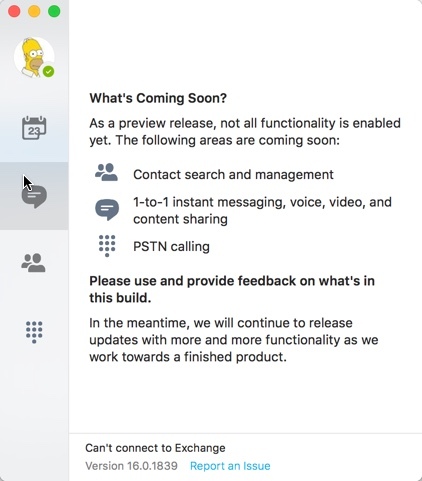 If Pexip was not in this call transparent in the background, no content could be shared. It would only work from SfB to SfB users, meeting room users would have a blank screen. Next up is a full video overview of the SfB Mac client joining the meeting and working with standards based video conferencing systems and we are even sharing the SfB Mac desktop with standards based room systems, all powered by Pexip Infinity providing the seamless interop between standard video and Microsoft Skype for Business. 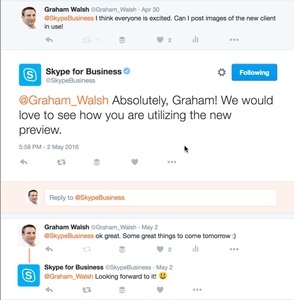 If you have any questions on the Pexip and Skype for Business, feel free to ask.